This type of glass has be dated back to 79 AD where some was used in a Roman mosaic. Vaseline glassware glows a bright green under ultraviolet light due to the uranium in the glass. Under normal lightening it is a yellowish green color. 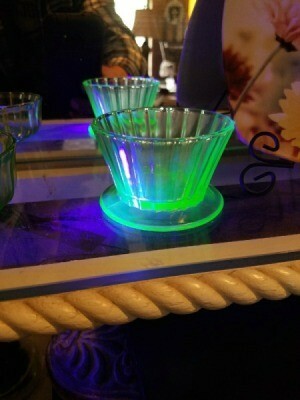 It is commonly called either uranium or vaseline glass (due to it resemblance to petroleum jelly). This is a guide about identifying Vaseline glassware. These pieces were bought at a thrift store. I was told it was Vaseline glassware, I would like confirmation. i believe they are both Vaseline but this glassware is so plentiful on the auctions sites that most of these pieces are not very valuable. 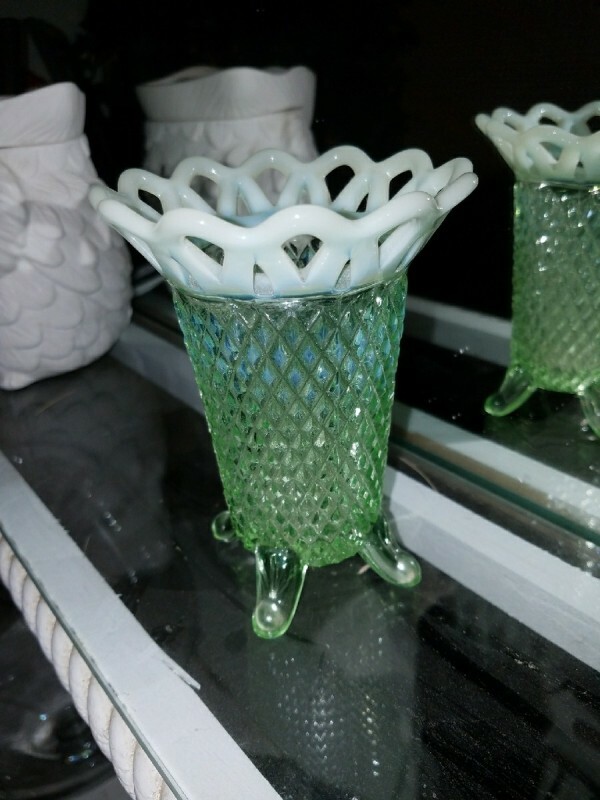 You can Google Vaseline glassware and find thousands of pieces listed on eBay, Etsy, Ruby Tuesday, and other sites. I think the top image is Vaseline. I am not sure about the bottom. Both gorgeous!